“REASONABLE RULES” FOR RECORD INSPECTIONS? The association may adopt reasonable written rules governing the frequency, time, location, notice, records to be inspected, and manner of inspections, but may not require a parcel owner to demonstrate any proper purpose for the inspection, state any reason for the inspection, or limit a parcel owner’s right to inspect records to less than one 8-hour business day per month. The association may impose fees to cover the costs of providing copies of the official records, including the costs of copying and the costs required for personnel to retrieve and copy the records if the time spent retrieving and copying the records exceeds one-half hour and if the personnel costs do not exceed $20 per hour. Personnel costs may not be charged for records requests that result in the copying of 25 or fewer pages. The association may charge up to 25 cents per page for copies made on the association’s photocopier. And dictatorial board members are only too willing – with the help of a well-paid association attorney, to create rules they consider reasonable and add fees that are clearly not covered by the statutes. While the statutes allow associations to charge for making photocopies of requested records, there are clearly no charges allowed for “preparing records for inspection” or having a “watchdog” being paid by the owner while inspecting the records. And if an association member complains about such charges being levied, the association attorney, in this case Jane L. Cornett, from the Becker Law Firm (former Becker & Poliakoff) will write the owner a letter (CLICK HERE TO READ THE LETTER) trying to explain these charges. 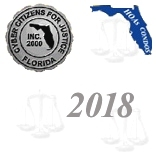 Just for factual reasons: FS 720 did not come into existence in 1992 as stated in Cornett’s letter, it only came into existence in the year 2000 when the Florida legislature renumbered the former FS 617.301-312 into FS 720.301-312 – without changing the wording of these provisions. We all know that community association law is so-called positive law, meaning it allows exactly what is stated in the law. No reading between the lines, no adding to the wording that was created by the legislature. No matter what Cornett tries to explain, there is no wording dealing with “excessive staff time.” A professional management company should require no “staff time” to prepare for inspection of records. In an organized office records should be easily available for inspection – not requiring excessive staff time. And paying for a “watch-dog”? Some folks really come up with rules that are anything but “reasonable.” These kinds of rules are clearly intended to deter owners from requesting records for inspection – and that is clearly NOT what the legislature intended to do when re-wording the record inspection laws. Let’s make no mistake: Jane Cornett definitely charged the association – meaning its members – more money for writing this letter than the association wanted to charge the owner for his record inspection. I don’t think that it was ever the intention of the legislature to burden the association members with the cost of charges for having the association attorney writing a letter explaining “unreasonable” charges for a record inspection. Let’s face it: Fights over record inspections have turned into a cash cow for attorneys. Especially adding the words “reasonable rules” has created more problems than anything else. Don’t forget: The word “reasonable” can be interpreted in many ways. And what one person thinks is reasonable, may be totally unreasonable for others. FS 718.111(12) (g)1. By January 1, 2019, an association managing a condominium with 150 or more units which does not contain timeshare units shall post digital copies of the documents specified in subparagraph 2. on its website.